To get the best possible experience using our website we recommend that you upgrade to a newer version or another web browser. 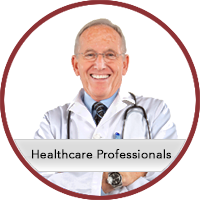 The information contained in this section of the site is intended for US healthcare professionals only. Click the appropriate link below. You are now leaving PROCRIT.com. If you're a patient on PROCRIT®, it's important you talk to your physician. For further information, read the Medication Guide and Patient Instructions for Use. If you're a physician prescribing PROCRIT®, there is product information that could affect your patients. For full Prescribing Information, please click here. PROCRIT® is a prescription medicine used to treat anemia. People with anemia have a lower–than–normal number of red blood cells (RBCs). PROCRIT® works like the human protein called erythropoietin to help your body make more RBCs. PROCRIT® is used to reduce or avoid the need for RBC transfusions. Chronic kidney disease (you may or may not be on dialysis). Chemotherapy that will be used for at least 2 months after starting PROCRIT®. A medicine called zidovudine (AZT) used to treat HIV infection. PROCRIT® may also be used to reduce the chance you will need red blood cell transfusions if you are scheduled for certain surgeries where a lot of blood loss is expected. If your hemoglobin level stays too high or if your hemoglobin goes up too quickly, this may lead to serious health problems which may result in death. These serious health problems may happen if you take PROCRIT®, even if you do not have an increase in your hemoglobin level. PROCRIT® has not been proven to improve quality of life, fatigue, or well–being. If you have cancer and you will not be receiving chemotherapy, that may cause anemia. If you have a cancer that has a high chance of being cured, talk to your healthcare provider about the kind of cancer you have. If your anemia caused by chemotherapy treatment can be managed by RBC transfusion. In place of emergency treatment for anemia (RBC transfusions). You are scheduled for surgery on your heart or blood vessels. You are able and willing to donate blood prior to surgery. It is not known if PROCRIT® is safe and effective in treating anemia in children less than 1 month old who have chronic kidney disease and in children less than 5 years old who have anemia caused by chemotherapy. Who should not take PROCRIT®? Have cancer and have not been counseled by your healthcare provider about treatment with PROCRIT®. Have high blood pressure that is not controlled (uncontrolled hypertension). Have been told by your healthcare provider that you have or have ever had a type of anemia called Pure Red Cell Aplasia (PRCA) that starts after treatment with PROCRIT® or other erythropoietin protein medicines. PROCRIT® is a man–made form of erythropoietin (EPO). PROCRIT® works like EPO — it causes your bone marrow to make more red blood cells. This, in turn, raises your level of hemoglobin, a protein found in red blood cells that carries oxygen to all parts of the body. Increasing your hemoglobin level may lessen the need for a blood transfusion. The rise in hemoglobin does not happen right away. It usually takes 2 to 6 weeks before the number of red blood cells goes up in your body. Not everyone will have the same results with PROCRIT®. How should I take PROCRIT®? Be sure that you read, understand, and follow the "Instructions for Use" that come with PROCRIT®. Take PROCRIT® exactly as your healthcare provider tells you to. Do not change the dose of PROCRIT® unless told to do so by your healthcare provider. Your healthcare provider will show you how much PROCRIT® to use, how to inject it, how often it should be injected, and how to safely throw away the used vials, syringes, and needles. If you miss a dose of PROCRIT, call your healthcare provider right away and ask what to do. If you take more than the prescribed dose of PROCRIT®, call your healthcare provider right away and ask what to do. If you take more than the prescribed dose of PROCRIT®, call your healthcare provider right away. During treatment with PROCRIT®, continue to follow your healthcare provider's instructions for diet and medicines. Have your blood pressure checked as instructed by your healthcare provider. This site is published by Janssen Products, LP, which is solely responsible for its contents. The material on this site is intended only as information or as an educational aid and is not intended to be taken as medical advice. The ultimate responsibility for patient care resides with a healthcare professional. 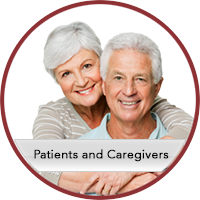 The information on this site is intended for the use of patients and caregivers in the United States and Puerto Rico only. Laws, regulatory requirements, and medical practices for pharmaceutical products vary from country to country. The Prescribing Information included here may not be appropriate for use outside the United States and Puerto Rico.